Edith Cavell was a British nurse and patriot. She is celebrated for saving the lives of soldiers from all sides without distinction and in helping some 200 Allied soldiers escape from German-occupied Belgium during World War I, for which she was arrested. She was subsequently court-martialled, found guilty of treason and sentenced to death. Despite international pressure for mercy, she was shot by a German firing squad. Her execution received worldwide condemnation and extensive press coverage. 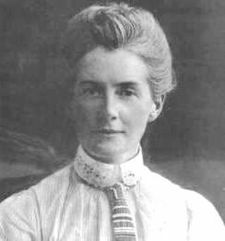 Edith Cavell was born on 4 December 1865 in Swardeston, a village near Norwich, where her father, the Reverend Frederick Cavell, was vicar for 45 years.She was the eldest of four children and was taught to always share with the less fortunate, despite her family’s meagre earnings. She trained as a nurse at the Royal London Hospital and in 1907, Cavell was recruited to be matron of a newly established nursing school by the name of L\'École Belge d’Infirmières Diplômées in Brussels.By 1910, Miss Cavell felt that the profession of nursing had gained sufficient foothold in Belgium to warrant the publishing of a professional journal, and launched the nursing journal, L\'infirmière. A year later, she was a training nurse for three hospitals, 24 schools, and 13 kindergartens in Belgium. When World War I broke out, she was visiting her widowed mother in Norfolk, England. She returned to Brussels where her clinic and nursing school were taken over by the Red Cross. In November 1914, after the German occupation of Brussels, Cavell began sheltering British soldiers and funnelling them out of occupied Belgium to the neutral Netherlands. Wounded and derelict British and French soldiers and Belgians and French of military age were hidden from the Germans and provided with false papers by Prince Reginald de Croy at his chateau of Bellignie near Mons. From there, they were conducted by various guides to various houses in Brussels, and furnished by them with money to reach the Dutch frontier. This placed Cavell in violation of German military law. German authorities became increasingly suspicious of the nurse\'s actions, which were backed up by her outspokenness. She was arrested on August 3, 1915 and charged with harbouring Allied soldiers. She admitted that she had been instrumental in conveying about 60 British and 15 French derelict soldiers and about 100 French and Belgians of military age to the frontier and had sheltered most of them in her house. The German civil governor, Baron von der Lancken, is known to have stated that Cavell should be pardoned because of her complete honesty and because she had helped save so many lives, German as well as Allied. However, General von Sauberzweig, the military governor of Brussels, ordered that "in the interests of the State" the execution of the death penalty against Edith Cavell should be carried out immediately,thus denying higher authorities the opportunity to consider clemency. A day is appointed for her commemoration in the calendar of the Church of England. The highest peak in the mountain range near Jasper, Alberta, has also been named after her, Mount Edith Cavell. A portrait of the mountain is one of the awards given out by CONA on an annual basis.